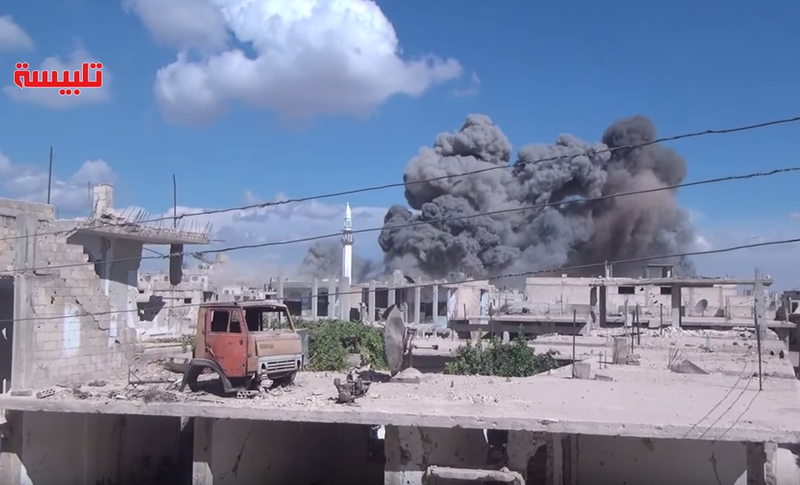 Explosion in Talbisah caused by russian air force airstrikes. Image courtesy of @JulianRoepcke. 27 civilian casualties caused by russian air force airstrikes on Alzaafaranah, Talbisah, and ar-Rastan. The number of casualties is expected to rise due to the number of severe injuries caused and missing persons yet to be found under the rubble. Russian officials initially claimed that their involvement in Syria will target IS forces yet these airstrikes and the airstrikes in Hama are targeting opposition forces directly. One civilian casualty and 20 injured during opposition shelling of Alawite neighborhoods in central Homs including al-Zahra and Karm al-Shami. Clashes break out between islamist opposition fighters and the SAA in Si’in al-Aswad. The number of casualties caused by yesterday’s SyAF airstrikes on a market in Mayadin has reached 31 and is still expected to rise. A total of 25 civilian casualties were caused by the SAA surface-to-surface rocket strikes two days ago on al-Waer neighborhood, northwest Homs. Clashes break out between SAA and IS forces in Maksar al-Hesan. 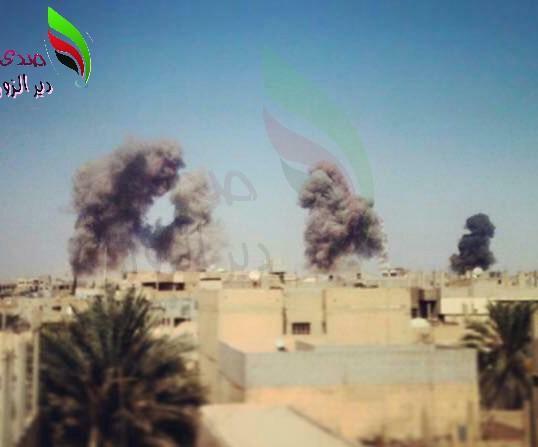 Explosions caused by SyAF airstrikes on Mayadin. Image courtesy of @wayf44rer14. Damage in al-Waer Neighborhood, northwest Homs. Image courtesy of @zaidbenjamin. 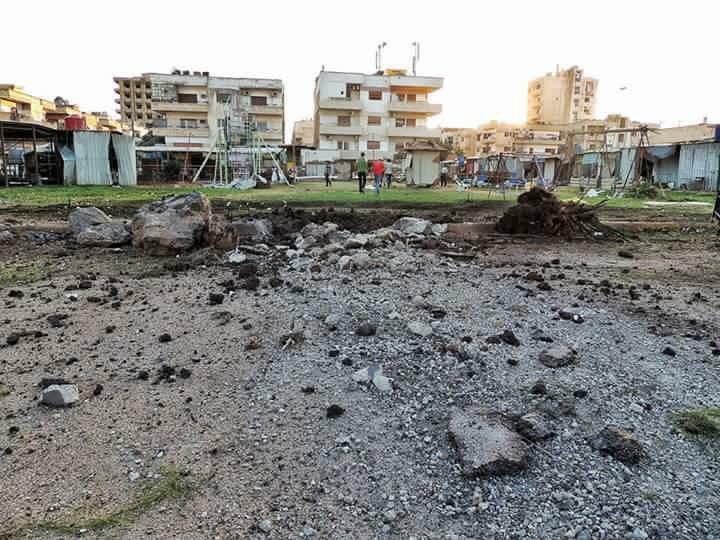 17 civilians killed by a surface-to-surface missile launched by the SAA on al-Waer Neighborhood, Homs, yesterday. Another two civilian casualties were caused by an additional surface-to-surface missile launched today on the same neighborhood. 20 SyAF airstrikes hit Palmyra since the morning with no reports of casualties as of yet. SAA and opposition forces clash in Umm Sharshuh, north of Homs. 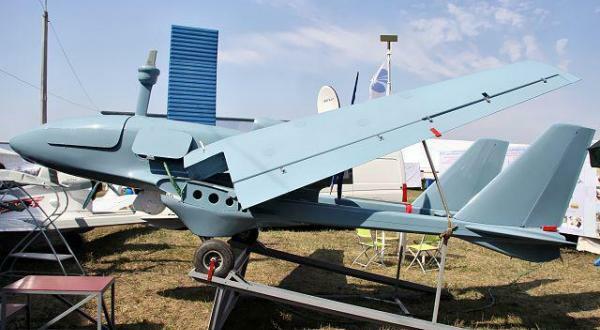 Russian UAV deployed in Syria. Image courtesy of @aawsat_News. The Syrian government issued an official statement confirming the russian reinforcements arriving at the port of Latakia and the russian fighter jets and UAVs used up until now to attack IS personnel in Raqqah, Deir ez-Zor, and Homs governorates. American sources stated that more than 500 russian infantry have also arrived at Syria. VBIED explosion in al-Zahra Neighborhood, Homs. Image courtesy of @Journalist_Omar. 38 IS casualties during several airstrikes carried out by the SyAF in the last 24 hours on areas in Palmyra, al-Quaryatayn, and as-Sukhnah. 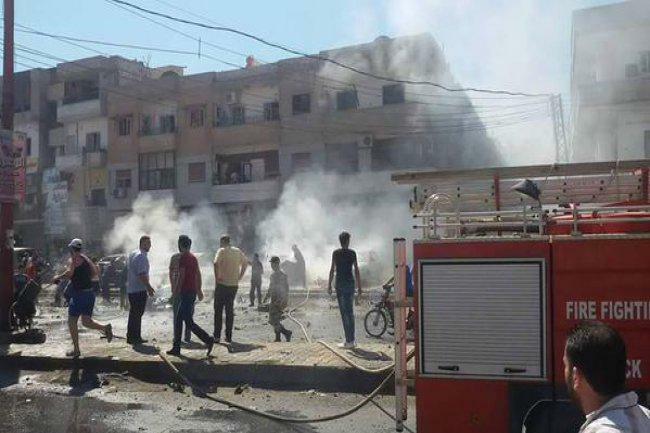 An explosion was heard in the Alawite neighborhood of al-Zahra, central Homs, caused by a VBIED. One civilian casualty and 12 injuries were reported. JAN and opposition forces fight against the SAA in areas north of Homs. Reports of casualties on both sides. The SAA launch a surface-to-surface rocket on a market in Sha’ar Neighborhood, Aleppo, causing the death of 18 civilians. As ambulances and rescue teams arrived at the scene the SAA continued to shell the area causing more injuries. 3 civilian casualties and 25 injuries caused by opposition shelling of al-Jabbariyeh Neighborhood and Midan Neighborhood, central Aleppo. Clashes break out between opposition forces and the SAA in the old city of Aleppo.